One-stop Manufacturer From design to delivery, Eagle manages all aspects of manufacturing versatile pneumatic tube dispatch systems from the company’s Lakeland, Florida facility. If you’re wasting money moving things in your business, then you should look into the Economical, Fast, Reliable Eagle Pneumatic Systems. Eagle airlift systems completely eliminate the need for messengers in most operations… Eliminating their wages, benefit packages, coffee breaks, and time taken from more productive work… and deliver the goods ten times faster! Eagle Pneumatic systems are compact and high-capacity, providing two-way carrier travel in a single tube. Installation is so easy, your own employees can set it up in less than a DAY! No complicated power wiring. Just plug the system into an existing wall outlet and start using. 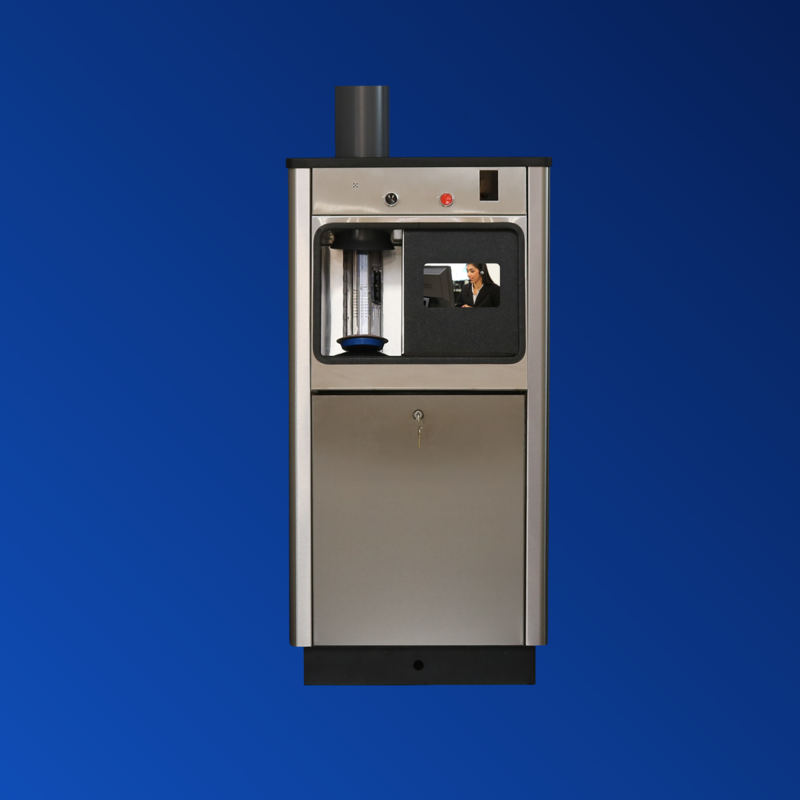 No other pneumatic tube system can deliver paperwork, parts or samples from one location to another with the ease, speed, low cost, and safety of an Eagle System. Sending loads weighing up to 5 lbs, with low-pressure air to a destination up to 2,000 feet away. Our dispatch system is designed to convey materials between two similar Send/Receive Stations through a single connection tube. 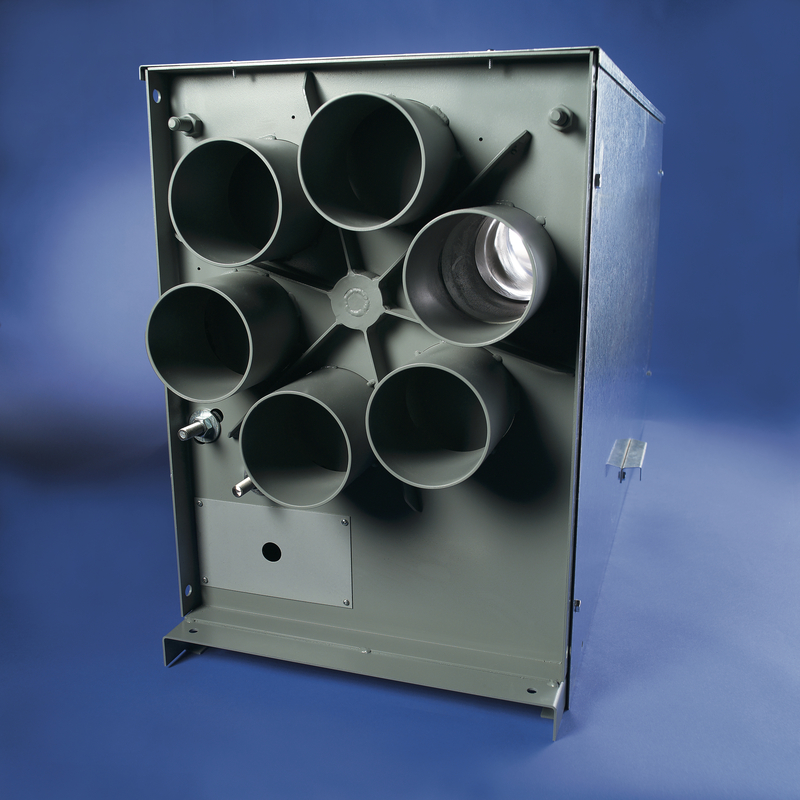 Both Type I and Type II Stations are produced with internal air turbos that push the carrier up to 25 feet per second to the receiving station. 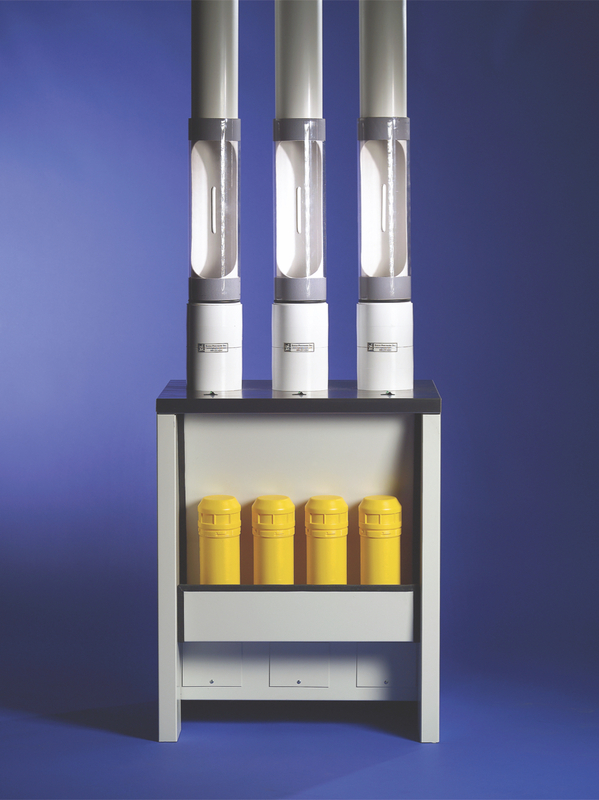 While the Eagle Pneumatic Type I stations are ideal for narrow and taller mounting areas, the Type II stations fits into more compact locations. Both stations are manufactured from heavy steel for reliability and durability. Both Type I and Type II stations are designed for a wide range of industrial, commercial, and retail applications. Systems are available in 3”, 4”, 4.5”, and 6”. Please see drawings for more information. The Eagle Pneumatic Mark II Air-Lift System, is a durable and supremely reliable pressure/vacuum system. The send/receive station is called the “power pedestal.” Only 120V power is required at the power pedestal station. The system moves carriers in one direction using pressure and with vacuum power on return, resulting in a highly dependable “push-pull” system operation. The installation of intermediate stations provides you the capability to expand your system, enabling even greater flexibility. In addition, the send/receive station at the non-powered end makes no noise. The Mark II Air-Lift is designed for a wide range of industrial, retail, and commercial applications. Systems are available in 3”, 4”, 4.5”, and 6”. Please see drawings for more information. Eagle Pneumatic Mini-Mark II System is the same system as the Mark II. Only difference is we’ve combined the electrical controls and blower pack into a remote blower. 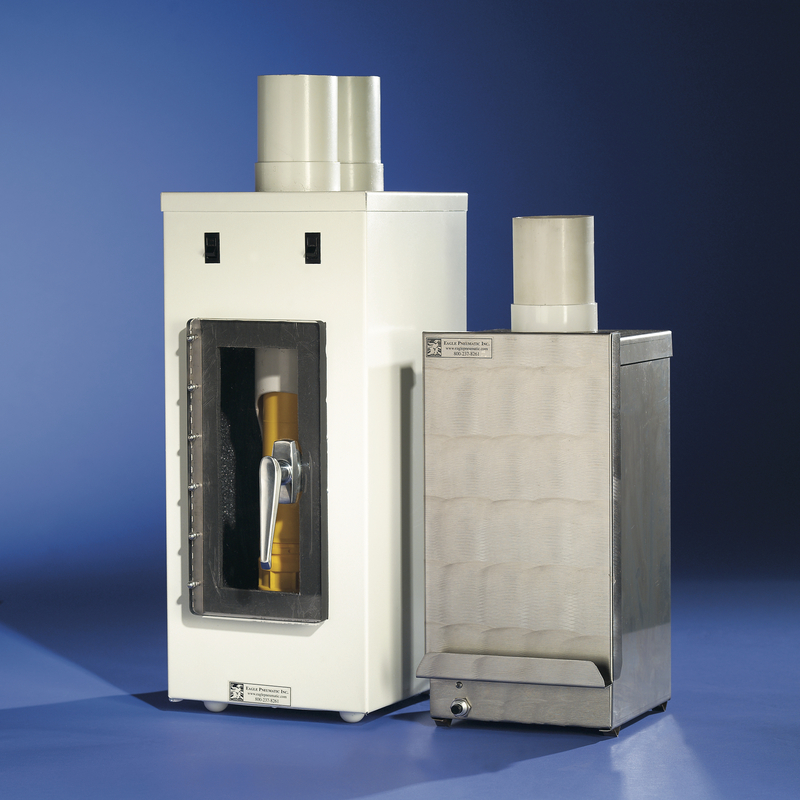 The Mini-Mark II System moves carriers in one direction using pressure and with vacuum power on return to provide a highly dependable “push-pull” operation. The compact Mini-Mark II System is ideal for a wide range of industrial, retail, and commercial applications. Only requiring minimal counter space. The installation of intermediate stations provides the capability to expand your system for even greater flexibility. Systems are available in 3”, 4”, 4.5”, and 6”. Please see drawings for more information. The Eagle Pneumatic Ticket Delivery System transports tickets 25 feet per second up to 1,000 feet through a single, connecting tube between the truck scale and the batchman/dispatch office. It can save between 3 and 5 hours of truck time for each 100 trucks that move through your yard. The pneumatic dispatch system is a low-cost, easy-to-use system that helps move trucks through your operation faster than ever. This pressure/vacuum system is designed with a “recall” feature and stainless steel truck station for reliability and durability in any outside installation. Ideal for rock quarries, asphalt, and concrete plants, the Ticket Delivery System saves your operation time and money while you keep focused on your business moving forward. Systems are available in 3”, 4”, and 4.5”. Please see drawings for more information. The CashLine System from Eagle Pneumatic is a safe, fast, and cost-effective way to transport money in seconds from congested areas to secure locations. CashLine eliminates employees’ concerns over handling large sums of money, and it helps to reduce labor cost by eliminating the need for manual cash collections. Also, our sliding-sleeve stations are designed to use only minimal counter space. A one-way pressure/vacuum system, CashLine System is designed for a wide range of retail applications, including supermarkets, restaurants, and hotels. See how the CashLine Systems takes the stress out of money-handling environments. Systems are available in 3”and 4”. Please see drawings for more information. The CashLift System from Eagle Pneumatic is a safe, fast, and cost-effective way to transport money in seconds from congested areas to secure locations. CashLift eliminates employees’ concerns over handling large sums of money, and it helps to reduce labor cost by eliminating the need for manual cash collections. Also, our sliding-sleeve stations are designed to use only minimal counter space. 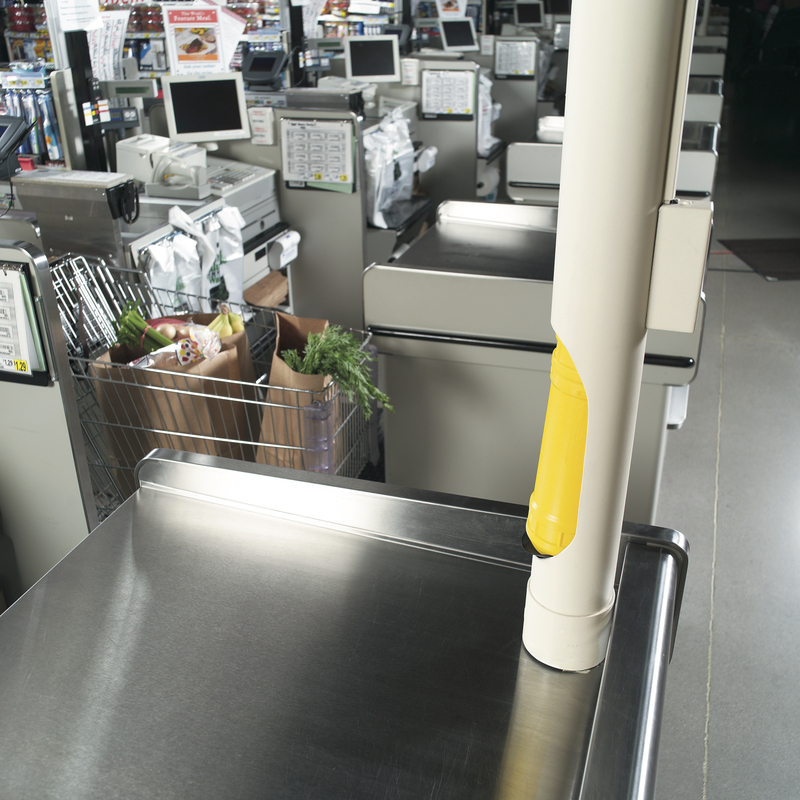 A two-way pressure/vacuum system, CashLift System is designed for a wide range of retail applications, including supermarkets, restaurants, and hotels. See how the CashLift Systems takes the stress out of money-handling environments. Systems are available in 3”and 4”. Please see drawings for more information. The Eagle Centrix Semi-Automatic System will help your organization operate at maximum efficiency, providing high-speed, low impact transport of carrier contents. Semi-Automatic System will receive and send from a main station up to 6 sub stations. This system is designed with a cancel/recall feature and a Lockout function. Carriers travel at a speed up to 25 feet per second and up to a distance of 2,000 feet. Systems are available in 3”, 4”, and 4.5”. Please see drawings for more information. 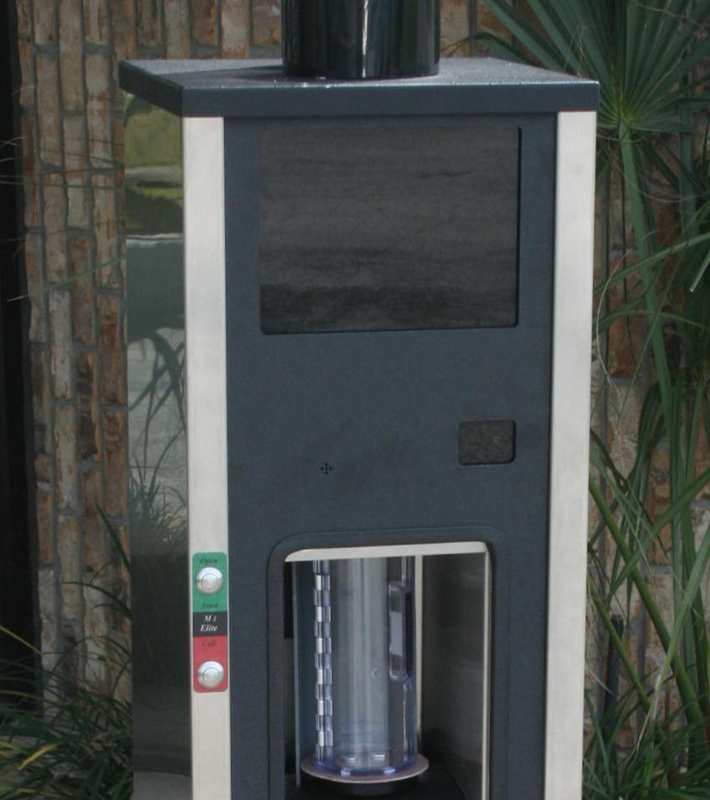 Eagle Pneumatic M2 Elite Drive-Thru System is a durable and reliable pneumatic tube system. 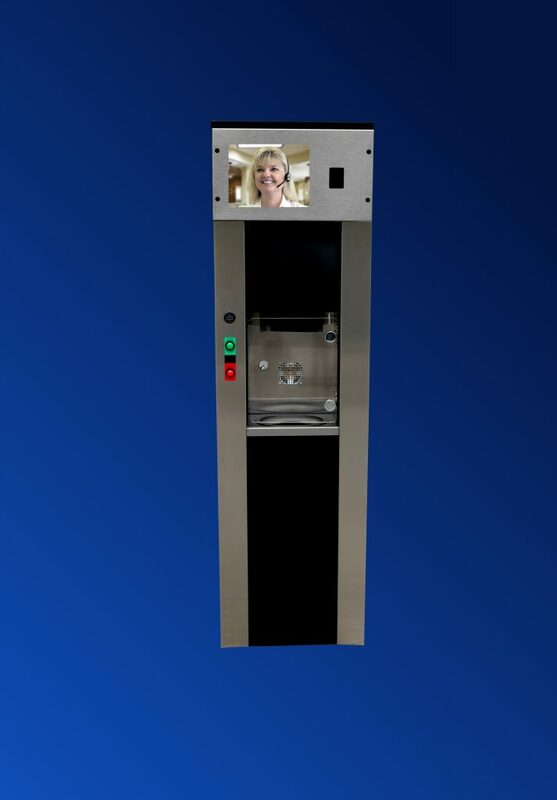 The Customer unit provides 2-way video and/or audio communication with the Tellers. An optional 10.4” LCD allows larger and easier viewing for end users. M2 Elite features vandal resistant door and switches. The Auto Close innovation will automatically close the Customer Unit door at the end of day. The design of the M2 Elite allows you to customize your individual system by choosing from a wide variety of components. These systems are available in 4”, 4.5”, and 6”. Please see drawings for more information. Eagle Pneumatic’s XL47 drive thru system is a reliable overhead vacuum-vacuum pneumatic tube system. This system provides a secure easy way to transfer cash, paper work, and prescriptions. Vertical delivery of carrier makes customer handling an ease for all vehicles. The customer unit provides audio communication and the capability to add on 2-way video with the teller. An optional 10.4″ LCD monitor allows for easier viewing for the drive up customer. Standard features of the XL47 include: Stainless Steel construction with a powder coated top and front panel; camera mount in customer unit and easy low voltage hook up. The use of slide gates along with a vacuum motor at each end gives the XL47 the ability to transport a heavy payload and eliminates the need for a sealed landing box. 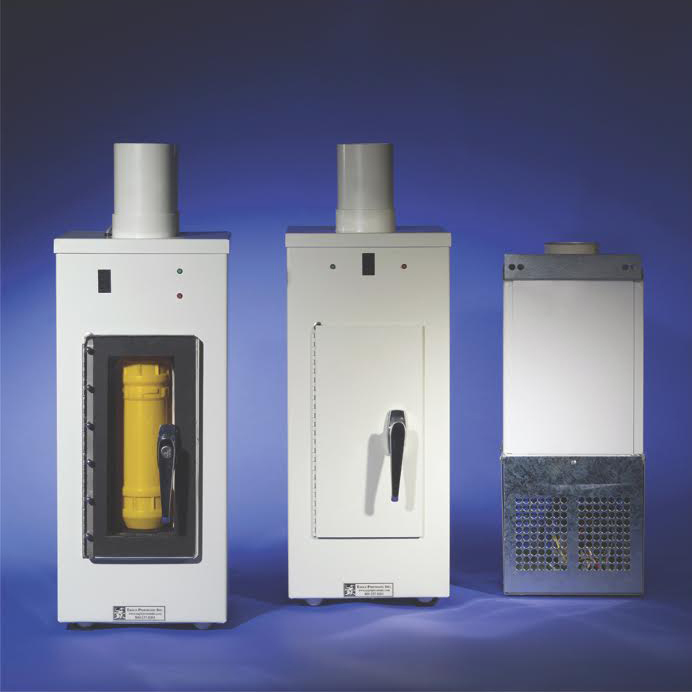 The T-110 Drive Thru system is a dependable Overhead vacuum-vacuum pneumatic tube system. Manufactured for versatility the T-110 is available in 4.5″ steel or PVC Tubing. 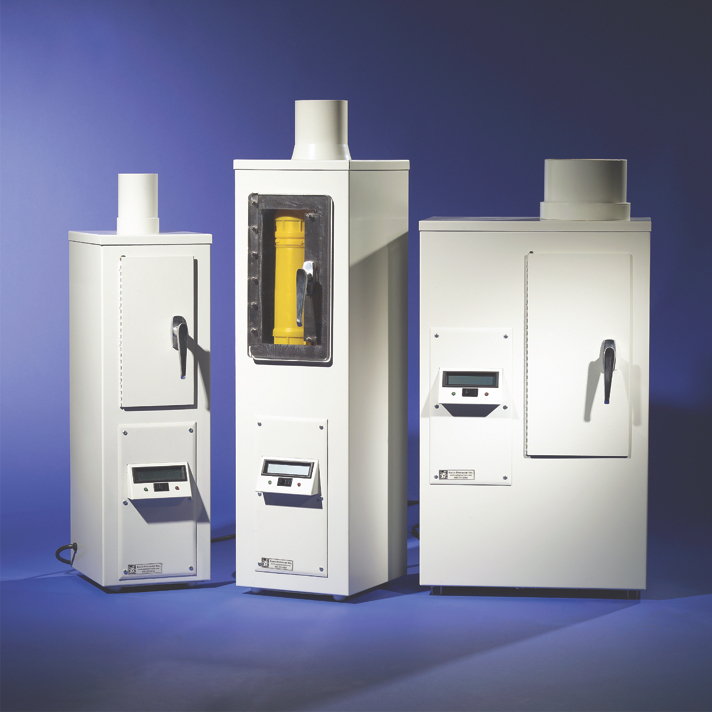 The system can also be built to accommodate 4″ steel tubing. 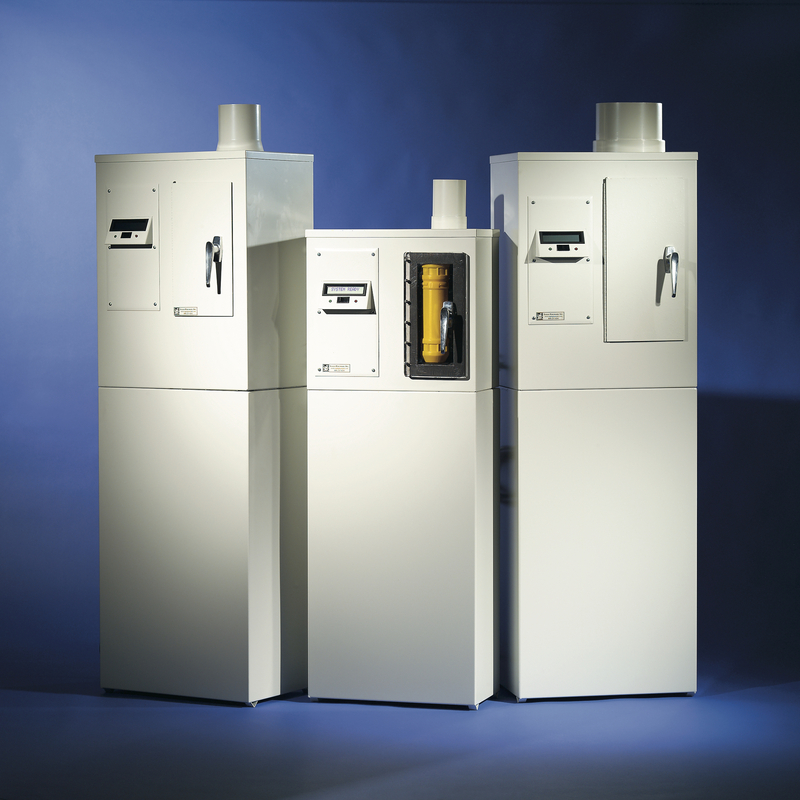 The T-110 has a slim design allowing for installation into a variety of narrow island. The slide gate eliminates the need for external doors at both the Customer and Teller stations. Installations of remote blowers above each station create a quiet operating system and smooth delivery of the carrier. The T-110 comes equipped with a 7″ video display window. There are multiple communications options for the unit including audio only and 1 or 2 way video. Eagle Pneumatic’s M2 Deal Drawer is easy to use for both the customer and teller. 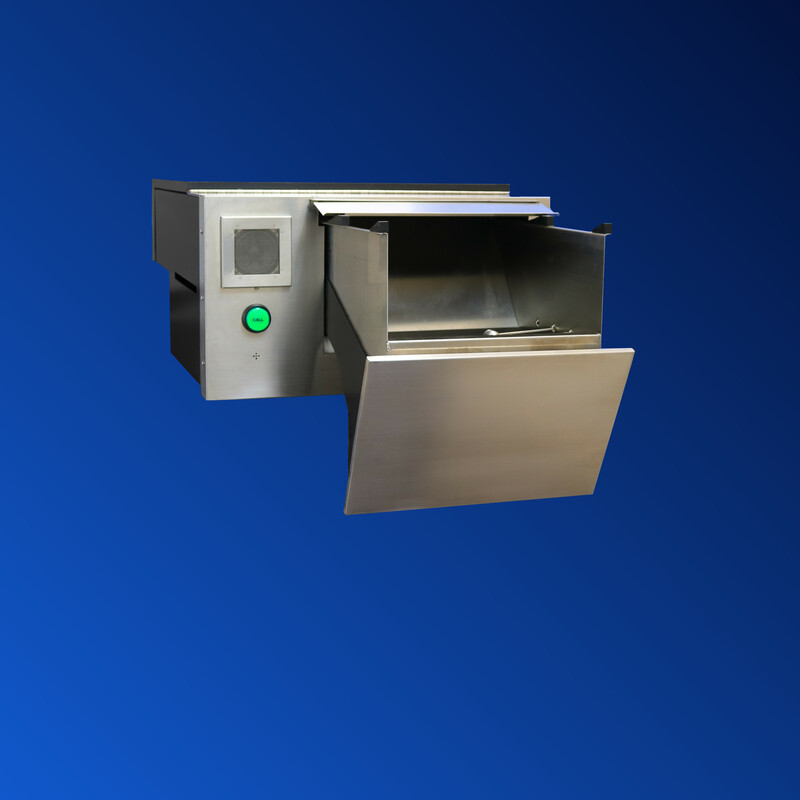 The M2 Deal Drawer is designed for counter mounting with a large capacity drawer. The exterior is constructed of stainless steel for durability. The interior has a painted surface for an improved aesthetic appearance. We offer a weatherproof communication system that will accommodate multiple brands of audio equipment. The M2 Deal Drawer is an ideal choice for new installation or replacement of an existing drawer. Making our drawer user friendly with remarkable dependability and easy access to all components. Since 1979, Eagle Pneumatic, Inc. has manufactured pneumatic tube delivery systems designed for a wide range of industrial, retail and commercial applications. John Deere, Ford, Wal-Mart – even the White House.